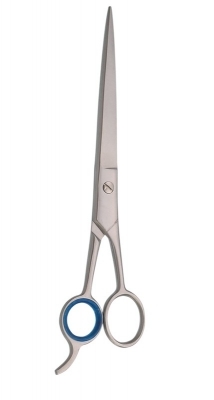 Pet grooming barber scissor bevel edge, non adjustable screw, Fixed hook. Finish Available: satin, mirror, Gold plated, Glass bead, and any color. Sizes Available: 6.5" & 7.5"